Think about your morning commute. You’re probably dodging in and out of traffic, sitting through a couple school zones, and checking your phone at every red light to find a way around construction delays and fender benders. HONK! Then there’s Mr. Road Rage behind you. By the time you get to your final destination, you’re tense and exhausted. But you haven’t really done anything yet. That’s what life without a budget can feel like. You’re constantly thinking about your money and shuffling it from place to place, but you’re not really in control of it. Wouldn’t it be better if you could handle your money without all the stress? We know you can, because we’ve seen more than six million people do it with EveryDollar! The Fix: Set aside time to create a brand-new budget before the month begins. (If you’re married, do this with your spouse.) Write down your household income and all your expenses for the month—even minor stuff like birthday parties and movie tickets. Be sure to include your savings goals and debt payments as well. The key is to budget your money down to zero. That means every dollar has a name before you spend or save a dime of it. 2. You're tired of stressing about emergencies and unexpected expenses. The Fix: Your budget needs to include money for emergencies. That way you’ll have cash on hand to cover anything from a hospital stay to a flat tire—without relying on a credit card. Start by saving $1,000, then work up to three to six months’ worth of expenses. Having money set aside for emergencies will keep this week’s headaches from turning into next month’s migraines. 3. You'd like to spend less on groceries (without clipping coupons). The Fix: Find out what you’re currently spending on groceries by looking at your online bank statements for the past few months. Then decide how much you’d like to spend from here on out. For example, if you spent $650 the last two months but you’d rather stay in the $500 range, try making a meal plan, switching grocery stores, and tracking your transactions each week. Check out our 33 of our favorite tips for saving more on groceries. The Fix: When you free up money on groceries (or restaurants, entertainment, etc. ), you’ll have more money for fun experiences like vacations or Christmas. 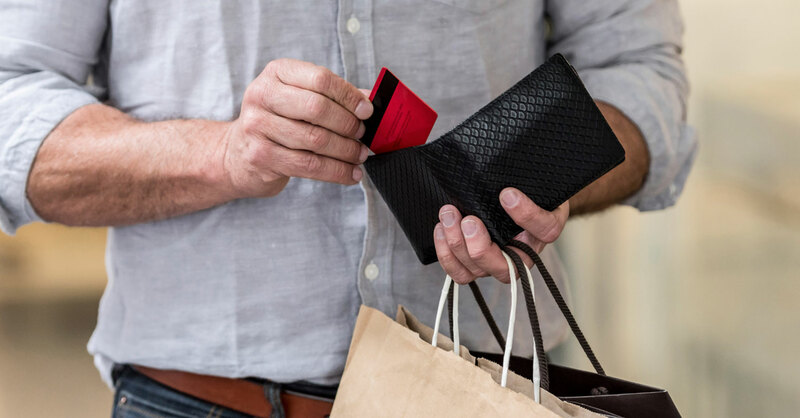 Simply take the leftover money you found in your everyday spending categories (like that $150 you saved at the supermarket) and put it into a new budget category named “Christmas Gifts” or “Anniversary Trip.” Then you’ll have a wad of cash to spend on whatever adventure awaits! 5. You’d like to save more for retirement, but you can’t find the extra money to make it happen. The Fix: Retirement is an important goal, but we recommend focusing on your emergency fund and getting out of debt first. Then, you can dedicate even more of your money to that Roth IRA (and you won’t be losing money on pesky interest payments in the process). If you’re already out of debt and still struggling to save for retirement, set up small automatic payments every month. As you get that annual raise, increase your auto savings until you reach your goal. Budgeting isn’t automatic. It’s a learned skill that you have practice every month. But the great news is that the more you do it, the better you’ll get at it! It’s kind of like turning that weekday commute into a Sunday drive. No honking, no traffic and definitely no stress! Create a budget that takes away your money stress with EveryDollar. It’s free to use and takes less than 10 minutes to set up!